The first time I ever shaped by eyebrows I was in 7th grade. My mom whipped out some eyeliner and traced where my eyebrows should be. She then instructed me to pluck the hairs that fell outside of that shape. The more I plucked, the better I looked (I thought). So I kept going. Ambitiously. Fervently. Until my mom came back in and said, “Oh. You should probably stop now.” But it was too late, and I had to live the next few months with the infamous “tadpole” eyebrows. Luckily, back then thin eyebrows were all the rage, so I didn’t look too out of place. Funny how times change. 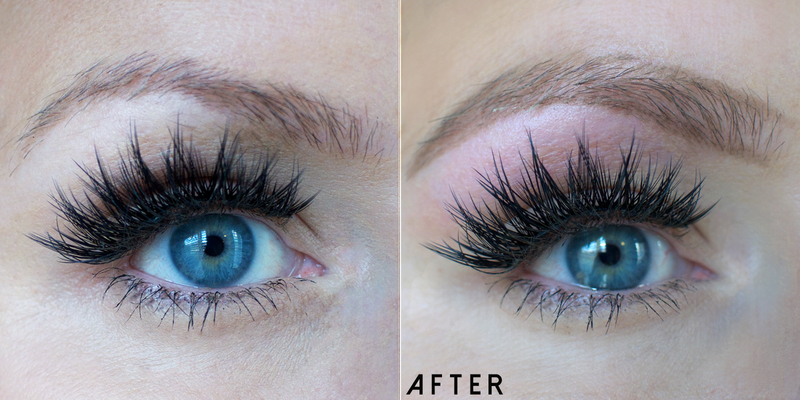 Nowadays when I do my eyebrows,they usually come out looking thicker than they did when I started (see above). A few years ago, I got tired of plucking and decided to try out waxing. I got some Surgi-Wax from my local Sally’s and went for it. With some practice, it’s actually quite easy. They have 4 stars out of 5 on Amazon. It’s the best wax I’ve used as it’s great at pulling out the hair without sticking to the skin. 2. 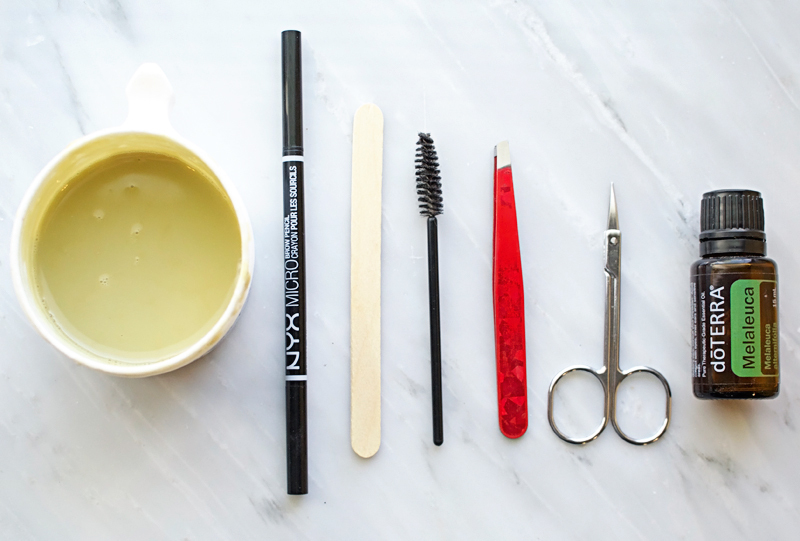 Begin with clean brows. 3. 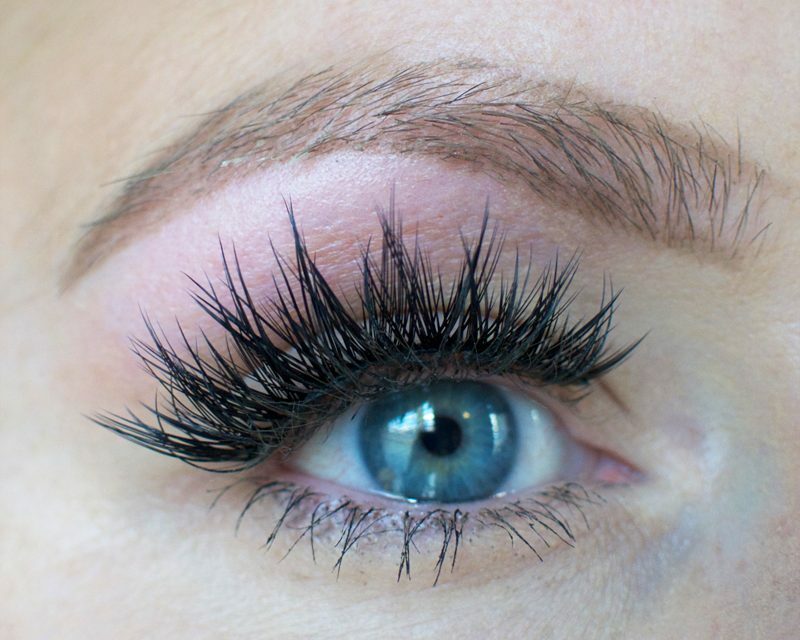 Outline desired brow shape. I’ve included some shaping tips at the bottom of this post if you need some pointers. Using the mascara wand, brush your eyebrow hairs up. 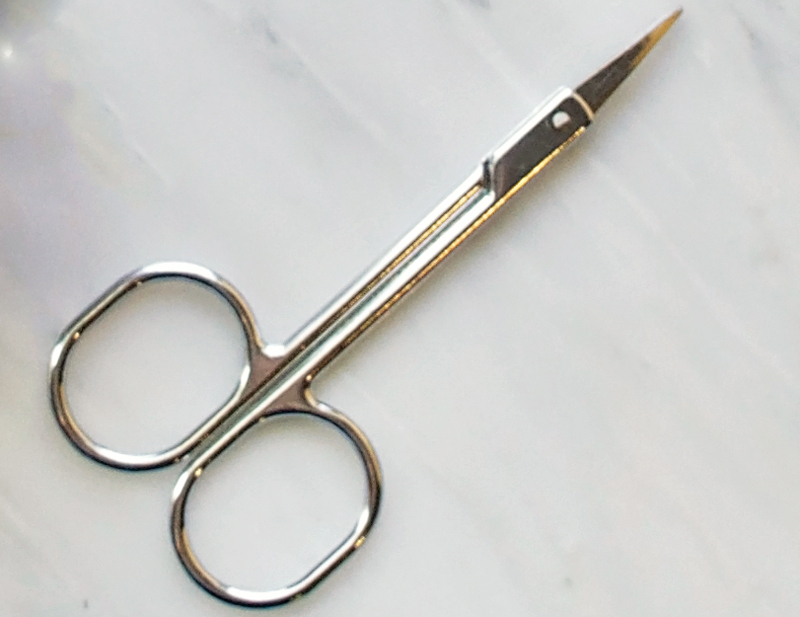 Any hairs that go past the outline you have drawn should be trimmed by the cuticle scissors. Do the same thing if there are any hairs that go far below the bottom line. The trick with using Surgi-wax is to make sure that you get it hot enough. It should be very liquidy. I’ve found that I usually need to microwave it longer than it suggests. I heat it until it flows almost as well as water, then I let it cool until it’s still hot, but not hot enough to burn my skin. Using the popsicle stick, I carefully apply the wax in the direction of the hair growth (no muslin is needed for this wax). Once it has hardened and completely cooled, I rip it off in the opposite direction of the hair growth. Then I immediately apply tea tree oil to the area with a cotton ball. This helps to relieve the sting, remove any excess wax, and care for the skin. You will note the slight redness from the wax. This usually fades after an hour and is easily covered by makeup, though I recommend leaving makeup off for a little bit to keep your pores clear. 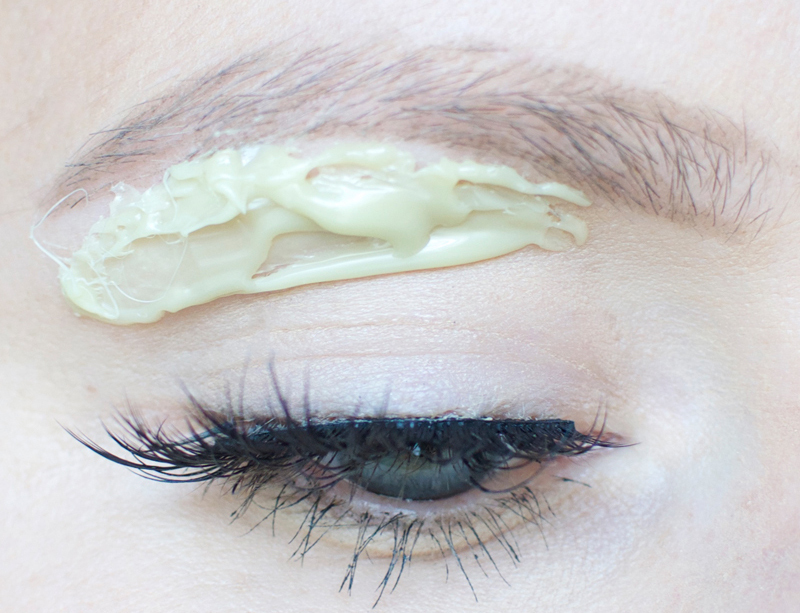 At this point, I typically dye my eyebrows so I don’t have to fill them in as much. 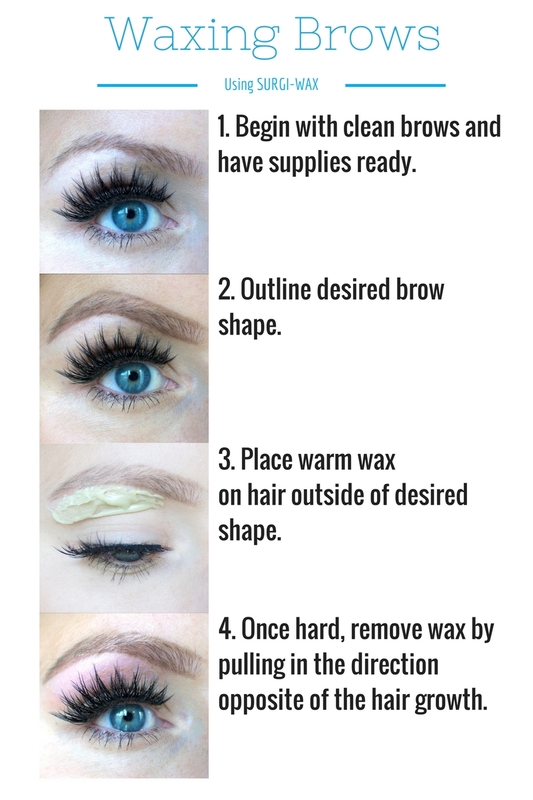 I have an eyebrow tinting tutorial you may want to check out. If you need some help with shaping, here are some very basic guidelines.